With resort-style amenities and a prime location in Oxnard's newest master-plan community, River Park, Serenade Apartments is the perfect place to call home. Our apartments strike the perfect balance between harmony and style, providing a modern and comfortable option for apartment-style living in Oxnard. Our amenities make life at Serenade a dream, and our location allows you to experience the calm of a residential neighborhood with easy access to a vibrant nightlife. Find your dream apartment today! When you live at Serenade, every minute feels like luxury! 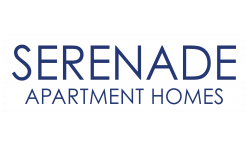 Serenade Apartments perfectly situated in River Park. Designed to balance the peace and quiet of a residential living environment with easy access to culture and nightlife, River Park features landscaped promenades that offer walking access to shopping, entertainment, great schools, and an abundance of parks. And with a location just off Highway 101, you'll have easy access to the entire Ventura area! Serenade at River Park Apartments offers the perfect blend of serenity, luxury, and activity, making it an ideal location for one, two, or three bedroom apartments in Oxnard. Call us today at (805) 202-4354 to learn more about all we have to offer or schedule a viewing, and don't hesitate to apply online today! We look forward to hearing you, and we're excited to help you find your dream apartment.